Information for adult traveling to the UK to study. To apply as a student under Tier 4, you must have been offered a place on a course of study by a 'Tier 4 sponsor'. Take Note: All approved UK education provider who teaches international students gets Tier 4 sponsor licence and are added to register of Tier 4 sponsors. If you have a valid CAS, you can score 30 points in our points assessment. If you have enough money available (or already paid to your education provider), you will score 10 points in our points assessment. Unless you score these points, you cannot apply under Tier 4 (General). You will not have access to most state benefits (also known as 'public funds') during your stay in the UK, and the amount of work you can do is limited. The money you will need depends on the length of your course and the location where you will study. To score 10 points in the points assessment, you must show that you can pay your course fees for your first period of study (or for your next period of study, if you are applying to continue a course) and your living costs for up to nine months. If you are applying to start a new course, you must show that you have enough money to pay your course fees for the first year of your course (or for the entire course, if it lasts less than a year). for the next academic year, if you will continue your course at the start of the next academic year. £800 a month if you are spending more than half of your study time outside inner London . Camden, City of London, Hackney, Hammersmith and Fulham, Haringey, Islington, Kensington and Chelsea, Lambeth, Lewisham, Newham, Southwark, Tower Hamlets, Wandsworth, Westminster. As a Tier 4 (General) student, you must have 40 points in the points assessment. Documents includes a copy of your passport bio-data page (the page containing your photograph). If you do not provide a photocopy of each document, your original documents might not be returned to you. 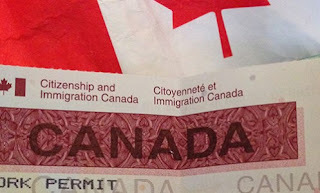 A current and valid travel document or passport (your passport must contain at least 1 page that is blank on both sides). 1 passport sized colour photograph (45 millimetres high x 35vmillimetresvwide, taken against a plain cream or plain light-grey background). Previous passports to show your previous travel history. Evidence of your marital status. This could include a marriage certificate, a civil partnership certificate, a divorce certificate or a death certificate. Evidence of your current employment or studies. Bank statements or bank books - Showing what has been paid in and out of an account for up to the previous six months, and naming the account holder. Bank letter or balance certificate - Showing the account balance, the account holder’s name and the date when the account was opened. If you provide this document you should consider providing additional documents to show the origins of the money in your account. When you have completed your online application form, you will need to print and sign your completed form. When you have completed your online application, you will receive an email message containing your application number (also known as a 'GWF reference'). Please make a note of this number. Visa application fee is paid online after filling of visa form, using the Visa4UK . You must go to the UK Visa Application Centre in your city/country to submit your application and facial photograph and fingerprints (biometric information). Every time you apply for a visa you must appear at the visa application centres. Applicants under 16 years old must be accompanied by an adult when enrolling their biometric information. There is no extra fee for enrolling your biometric information. So to score 10points, one must have 1000pounds per month for the duration of the course? For example if my proposed course is for 3 years. If your course is for 3yrs, U need 1000pounds x 36months = 36000pounds to be kept in your account or your sponsor's account 28days before you submit your application.